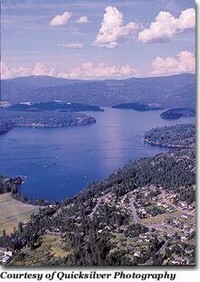 The Hayden area is well-known for its pristine beauty that was caused by a massive glacial flood that resulted in the creation of a series of lakes that include Hayden and Coeur d' Alene Lakes. Today, citizens enjoy the fruits of this natural phenomenon through unlimited access to recreational opportunities that include hiking, fishing, hunting and camping throughout the area. Public access to area lakes afford residents and visitors alike with an opportunity to fish or just enjoy an afternoon of floating. Coupled with an unlimited inventory of natural recreational opportunities, the Hayden area also boasts some of the best man-made recreational features in the Country. 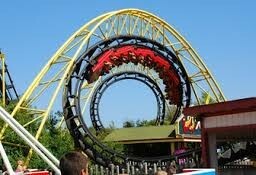 Silverwood Theme Park, located just twenty-minutes north of the City of Hayden along Highway 95, rivals in comparison to Six Flags and includes an expansive water park. Tripleplay and Raptor Reef Water Park, located in the City of Hayden along Orchard Avenue, is a wonderful arcade and family fun center that promises to delight all ages. Hayden is also home to the Pappy Boyington Field Museum, dedicated to the military and aviation history of those who served in uniform from this area. Finally, if you're a skier, this is the area to come to! 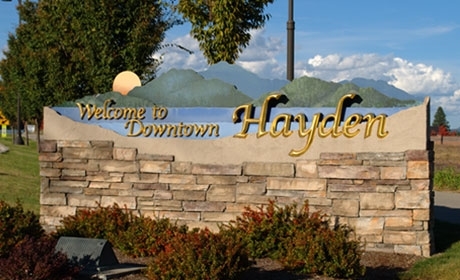 The City of Hayden is centrally located with an hour and a half of four ski resorts that include Mt. Spokane Ski Resort in Spokane, Washington, Schweitzer Ski Resort in Sandpoint, Idaho, Silver Mountain Resort in Kellogg, Idaho and Lookout Pass in Mullan, Idaho.